Set in the mid-1980’s in Dublin, Ireland, 15-year old Connor’s life is falling apart. Due to financial concerns, Connor is forced to attend a new school with a bully headmaster and his parents are considering divorce. To escape his life and to impress a mysterious girl, he forms a band and transforms his life. 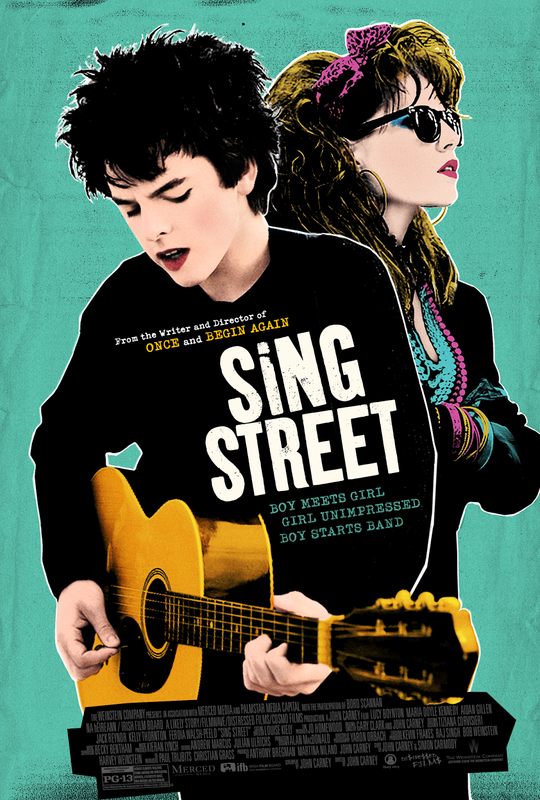 Anyone who is a fan of 1980’s music will love Sing Street. This movie has old favorites and new compositions in the “new wave’ style. The story is sweet and funny, but also provides a valuable social commentary on Dublin life during that time period. Sing Street is a must-see!